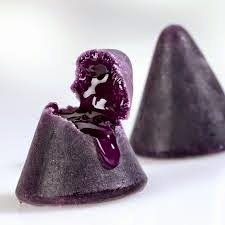 Until recently, I had never heard of the cuberdon, a traditional Belgian cone-shaped candy exploding with violet syrup. They're unique to any other candy I've experienced! The sugar creates a surprisingly rigid mold to contain the floral syrup inside. The interior liquid tastes of real flowers, fresh and bright and evocative of sunshine. It's impossible to eat the cuberdon politely, as to bite into one means an immediate burst of sticky syrup. This is part of the charm of the candy, though, equalizing children and adults in the inevitable mess that results. It's so worth the sticky fingers. I was lucky enough to try some of the sweets brought directly from a good sweet shop in Brussels, La Belgique Gourmand. 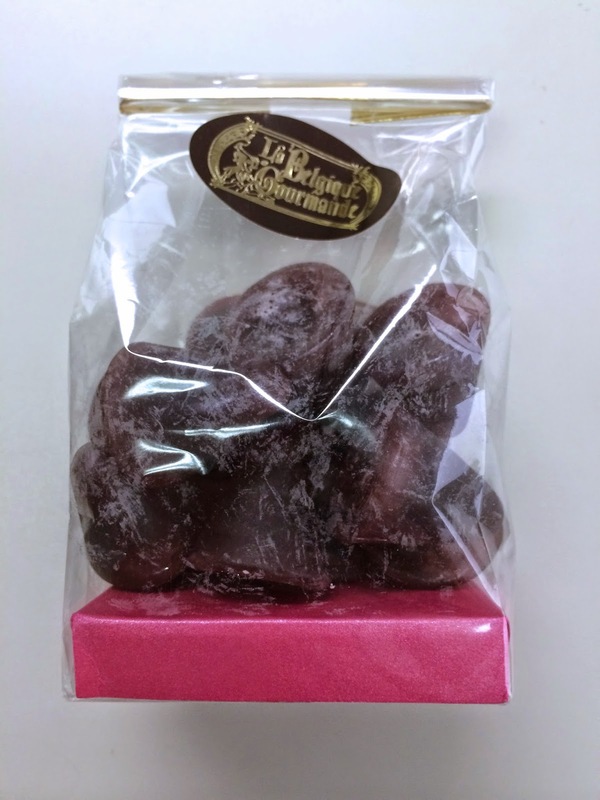 However, as my photos fail to capture the real jewel-like quality of the candies, I am also including an image via belgiancuberdon.com to capture the full experience of the special Belgian treat. Many thanks, Stijn! To read more about the cuberdon, click here to read an article from Reuters about "Belgium's Secret Sweet."